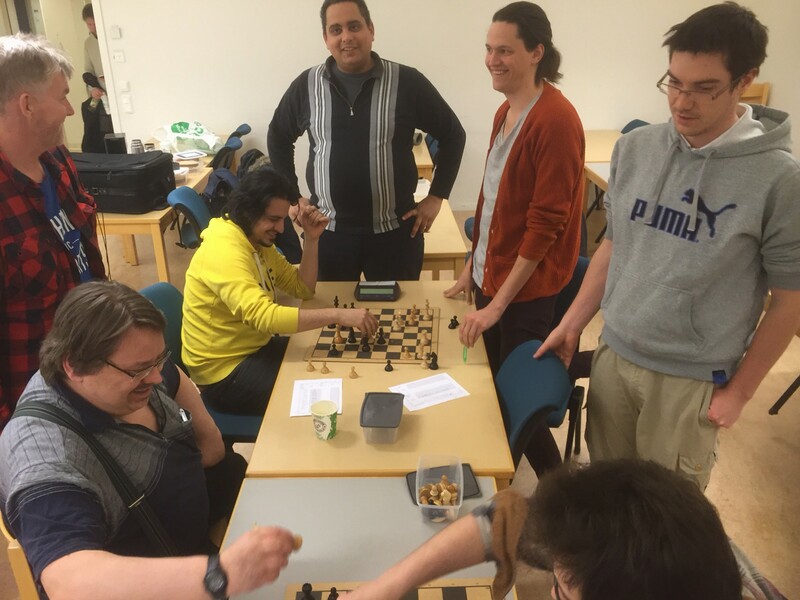 Hem › Nyheter › New Beginners Course and Postponed Games Today! New Beginners Course and Postponed Games Today! Crowded ASSU players kibbitzing and analyzing postgames! Welcome join the Academic Chess Society u 2! For those who havent played there games, we urge players to play this evening. The New beginners training will be open this evening as well!. Below postponed games in group ELO A. Postponed game in ELO group B below! ASSU Chess Club is a somewhat new Chess CLub for those who wants to know Chess closer and train, compete and find friend. We urge more to come and join us in the hunt for the enigmatic chess mystery. We have a strong first team I, that only gets stronger, as well as a team II, our developing team, and finally we have a team in the County league. So, jump on board and be a part of this fantastic chess club!